Today, everything from refrigerators to light bulbs are going smart. Here are some of our favorites to make your home a bit brighter. As humans, we naturally try everything to make our homes more comfortable—adding throw pillows, blankets, and ottomans. Yet there’s still a few inconveniences. To remedy these issues, technology companies have been working to solve tricky problems around the house by pairing our homes up with our phones. Control access to your home at all times with a smart addition to your deadbolt. Your phone works as a digital key, and you can grant temporary keys to guests. It connects to Siri so you can use voice commands to lock and unlock your house. You don’t have to give up your designer blinds to give them smart capabilities. They can open and close on a schedule, letting in light when the sun’s out and lowering as it gets dark. You can also control them from your smartphone or buttons on the device. If you’ve ever wished you could cook from your phone, now you can. Schedule, monitor, and change the temperature of your slow cooker from an app. Then, it’ll give you a notification when the food is ready. Plug in this sensor to be one step ahead of water damage. When moisture is detected, it sends alerts to your phone. Place one in the basement or in a bathroom to know if a pipe bursts, even while you’re away. GeniCan is a small device that attaches to your trash can and helps you make your grocery list. The device will scan a barcode or you can use voice commands to add things to a list accessible through an app. This smart thermostat caters to your lifestyle and home to save energy and automatically adjust to your preferences. It links to Amazon’s Alexa to make controlling your thermostat at the tip of your tongue. Your phone can also change the temperature, so you have access anywhere. Use this plug to make any device controllable by Alexa or a Google Assistant. Plug your reading lamp in to control it with your voice or make your Christmas tree lights shine on your time. 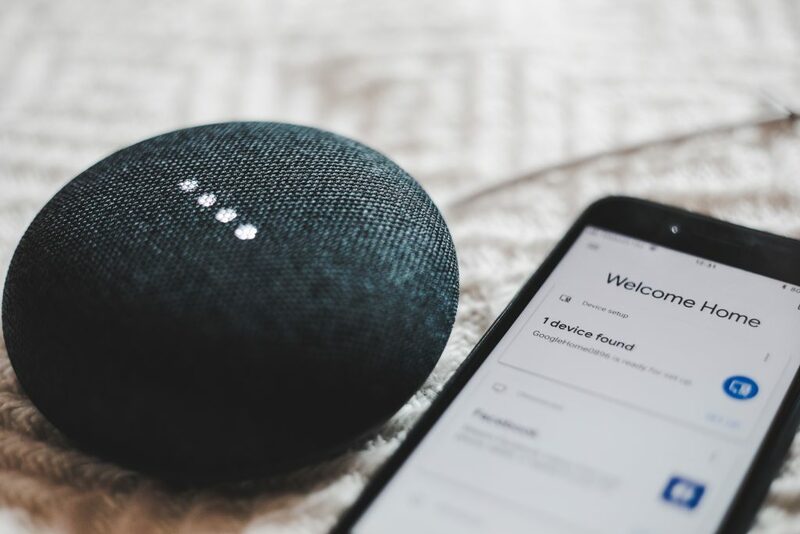 If you’re new to smart home devices, this is a great place to start.